Stung by criticism of its redesigned 2012 Civic, Honda continues to make improvements aimed at undoing the damage inflicted on its best-known nameplate. This year, the Civic coupe gets the lion's share of attention, with sleeker looks to lure younger buyers. The Civic may have to work a little harder to win over customers, but it's still worth every penny. The speedometer display has a neat eco-drive feature which is pretty cool. 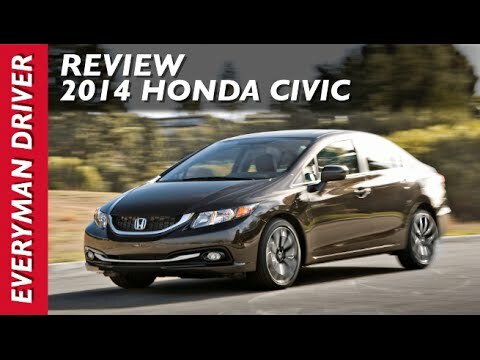 The Honda Civic is a great vehicle, economically, and environmentally. It gets great gas mileage but does not compromise on the pick-up. The only complaint I have on a regular basis is the Bluetooth and sound system can get a little wonky. Sometimes my phone will not connect, or the screen displaying my music selections, will just cut out or not load properly on startup. The only other technology feature I would change, and this is not a problem, just an oversight maybe, is the brightness of the speedometer and the screens dim when you turn on the headlights, which is great at night, but in the day time it makes it nearly impossible to see them, which can be potentially problematic especially when using the back-up camera. The car is comfortable to ride in, and the steering is tight and responds easily. The inside is roomy enough for me, and I am above average in height, the seats are comfortable, and the interior is set up really nicely. I like that the dash is angled toward the driver slightly so that it is easier, and safer to reach the buttons. Excellent gas mileage that compliments a beautiful design, proving you don't need to sacrifice aesthetics to get an economical car. I've been in two accidents, one that rolled the car over and one where a driver t-boned me. Both times, the side airbags in this car (I got the same model when I had to replace it) saved me from any injuries. So, I highly recommend their safety features. I also like how the dashboard angles toward the driver, and visually it looks very sleek and impressive from both the inside and outside, like a luxury car. The turn radius can be finicky, so that's the only complaint I have, but not enough to drop it down a whole star rating because the car drives smoothly, is powerful, and is reliable and pretty. It also has excellent gas mileage and is roomy enough for road trips with friends. Bigger on the inside than it looks on the outside. I have the hf trim; at 40 mpg or it is been a real money saver, especially as gas prices have slowly started to creep up again. This is my second Civic so far and the exterior styling changes are very pleasing. The interior is spacious enough for my family and I and all critical controls are within arms reach. It is pretty roomy for a compact car, the looks I have gotten as I walk toward my care from the local home improvement store are priceless; the incredulity on people's faces, the look that says "you're never going to make that fit in there. " Yet, somehow I am always able to squeeze it in there. It's a great little car, meets my needs and then some.